Jeff is in charge today and sends us off for some last minute items. Our main responsibility is to only help clean. 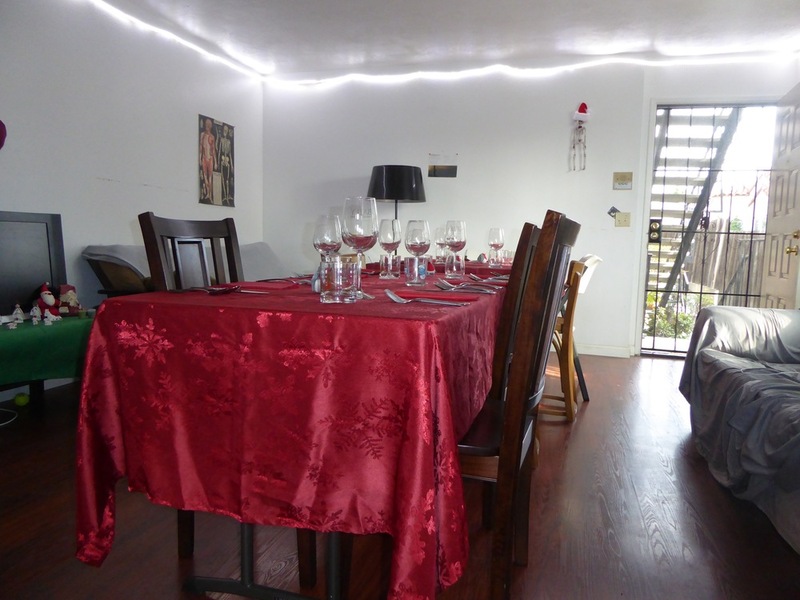 The table is set for eleven guests. Ryan and Jeff have it all under control. Watching them cook is quite entertaining. Finally the time has come to enjoy their endeavors. The Dessert: This was amazing and probably took the most preparation. In the previous days they had made 12 chocolate balls. Melted chocolate was poured into a form that could be separated. The chocolate was then placed in the fridge and was rotated every 30 minutes till hardened and the form removed. Before serving the chocolate ball had its bottom removed and inside was placed a rich chocolate brownie, several strawberries and a scoop of vanilla ice cream. Each person had the chocolate ball placed in front of them and then Ryan and Jeff poured a hot carmel sauce over the chocolate bulb. 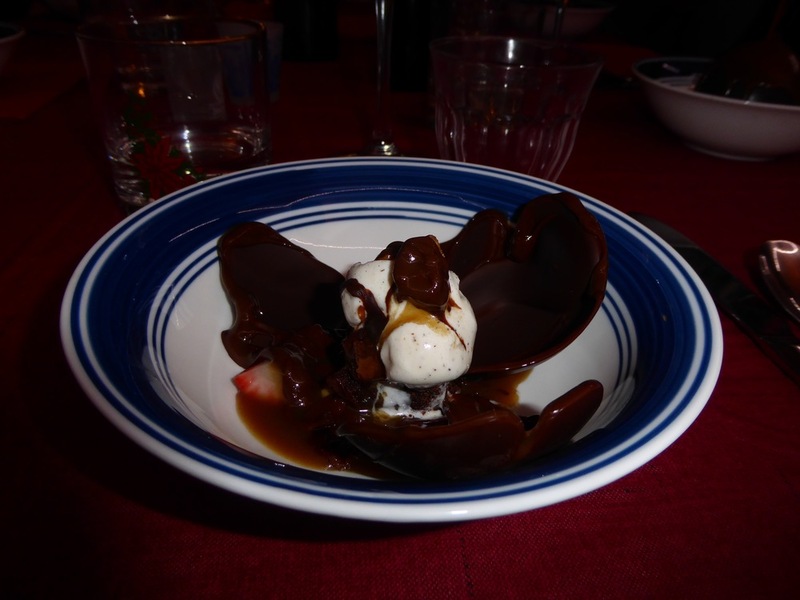 The result was that the chocolate bulb split open like a flower revealing the inside ingredients. Guests included: Beth, Matt, Shadow, Cynthia and Rob , Margo and Lydia and the four of us.